It's time for another round of Cooks in the Kitchen! I just love this little linkup hosted by Elah Tree & Sweet Lavender Bake Shoppe. They give an ingredient and you have a whole month to cook with it then you get to share your recipe! I even created a pinterest just for this linkup so I could gather ideas. This month's ingredient - blueberries! Oh Blueberries! They are so good. A lot of you know this, but earlier in the month, as part of my birthday festivities, I went blueberry picking! Blueberries are one of my favorite fruits and I was so happy about getting 6lb. of them. 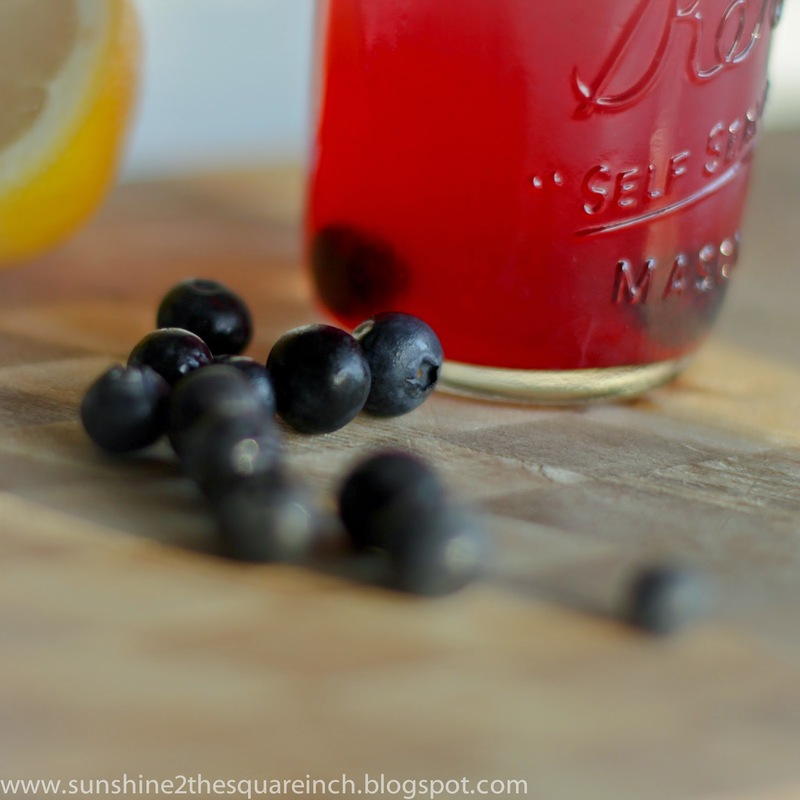 I had no idea how I was going to narrow my blueberry post to one item this month! I have made Dutch Pancakes with blueberry topping, blueberry muffins, blueberry smoothies, blueberry scones and more! 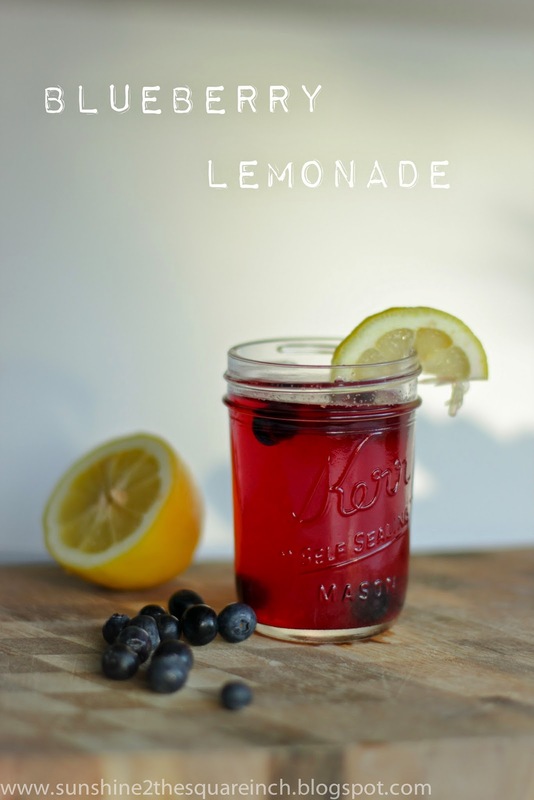 Someone mentioned to me that I share lots of drinks on this blog and so I thought I'd keep with that theme and share an easy peasy recipe - blueberry lemonade! What kind of lemonade do you like? 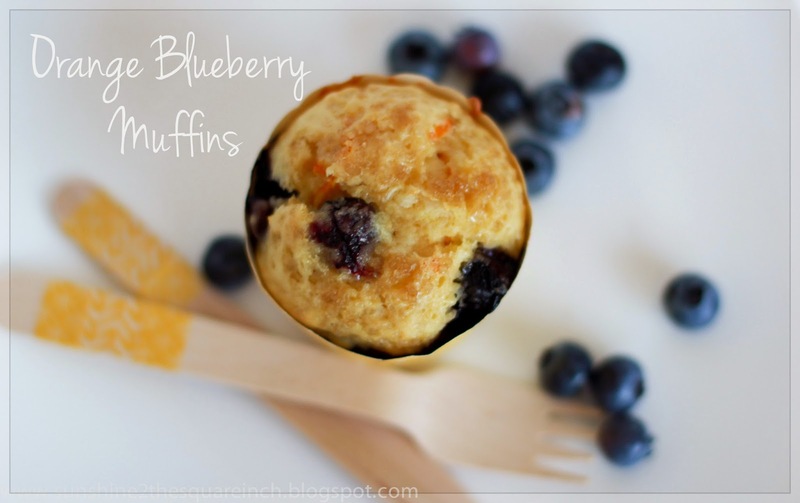 Also for my orange blueberry muffin recipe just click on the picture below! Oh man. I'm all about lemon things right now so this is right up my alley! Thanks for linking up! Your photos are so pretty! I love all the color and I love that you even have two recipes! So so delicious! So glad you linked up! Thanks a bunch! I had so much fun with blueberries this month. This looks delicious, going to have to try it! I'm a big blueberry fan as well... ended up with a liter from the annual blueberry festival two weekends ago (glorious). Yumm! I absolutely love blueberries too - I think they're such a versatile and yummy fruit. I love your recipes! yummy! 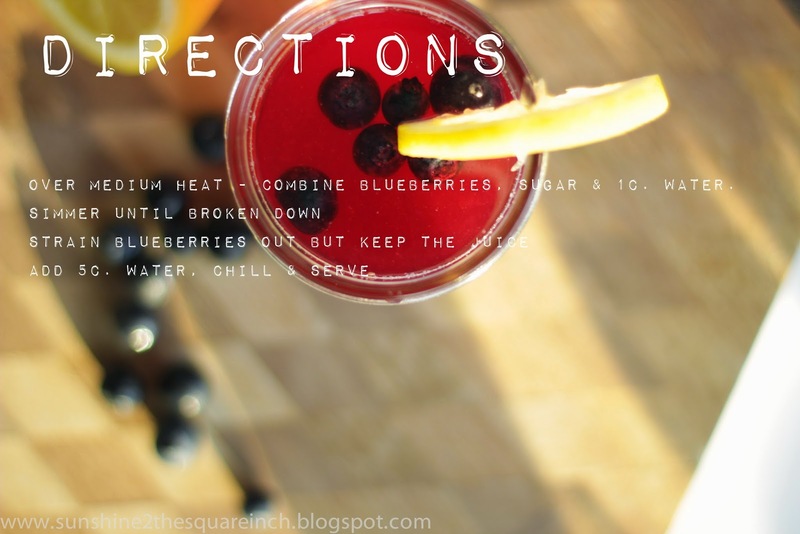 Looks like such a refreshing summer drink! I love the way you write your recipes, too - so fun! Thank so for sharing! Thanks, Cynthia! That is so fun that you got that many blueberries! Also, I have never heard of a blueberry festival! That sounds amazing. I agree that they are super versatile. I have never thought of them in that way but you are right. I eat them all the time! I'm glad you enjoyed this recipe. Thanks for stopping by. Thanks for leaving me a comment! I try to keep the recipes simple and super easy.